Experience a one-on-one workout and consultation at our gym. If we accept your application to try a workout, I will personally take on any risk of you not liking it. 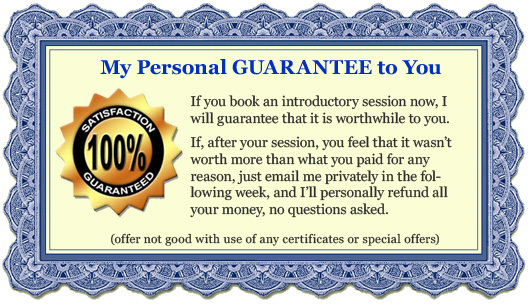 See full guarantee details below. I know that you’ll be amazed once you actually experience the workout. Private training at our facility in West Hollywood starts with a one-on-one introductory workout and consultation, where we close off our facility for double our normal session length, put you through a workout, and focus on teaching you everything we know ($180, and I personally guarantee that it is well worth your money). But first, before the intro session, we have a phone conversation to see if you qualify and make sure you are a good fit. “YES, I’d like to take the next step and speak with someone about an introductory workout as described above. One of us will call you right away to discuss your situation, answer any other questions, and see if you are a good match for training with us. If we both determine that you are a good fit, we will try to fit you in right away, and if we can’t, we will give you an estimate about how soon we will be able to fit you in. We only see one person at a time in our facility, so when we’re booked, we have to keep a waiting list. Last updated by Chad Morris on July 9, 2009 .